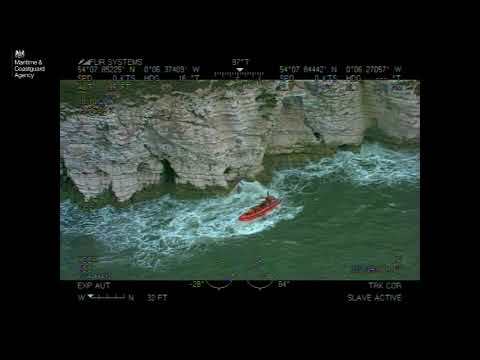 It’s raining and you’ve been sitting in the cockpit, hunched over the helm for what seems like hours. Worst of all, you can’t escape the nagging feeling that your oilskins, which you bought a few years back at great expense, are starting to let in water. Or is that damp feeling just condensation? It’s hard to tell, but either way, if your oilies are getting on in years they’d probably benefit from some fresh waterproofing. Manufacturers sell specific ‘reproofing’ products to restore waterproofing and breathability, but do they work? We collected together seven of the most commonly available and put them to the test. Modern oilskins are constructed from a breathable and waterproof membrane bonded to an abrasion-resistant fabric. 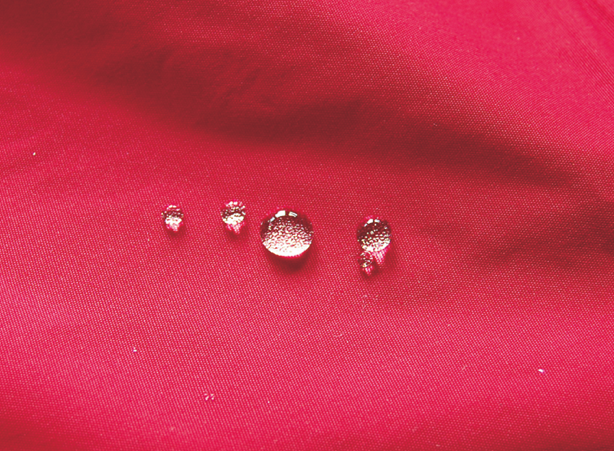 This fabric has what is known as a durable water-repellent (DWR) coating which stops the water from ‘pooling’ against the membrane – when this happens it can block the pores and stop the membrane from breathing. In some cases, it will also leak. At this point it’s worth mentioning that if your membrane is damaged, reproofing just isn’t possible. What all the reproofing products do is to restore the DWR coating, encouraging water to ‘bead’ and run off the surface before it can soak in and clog the membrane. In many cases what you feel is not a leaking garment, it’s that the pores have become blocked and sweat and moisture condenses on the garment and becomes trapped inside. Some lightweight jackets don’t have a membrane, instead relying solely on the DWR. The DWR coating eventually wears down due to use, and general oil and environmental factors cause it to break down. Washing can also remove the DWR coating, and even when using the specific care instructions for a DWR-treated garment, it won’t last forever. Manufacturers recommend that waterproof garments are treated with a wash-in product in the washing machine, or a spray-on solution. They say that sprays are best suited for coatings, whereas wash-in treatments work best with membranes. First, though, you’ll need to clean the fabric with a non- detergent-based cleaner – each reproofing maker also sells a proprietary cleaner. A DWR coating can be revived with heat – in fact, both the coating and the proofers are activated by heat – so a tumble drier on a ‘low’ setting or a hairdryer or radiator should help. 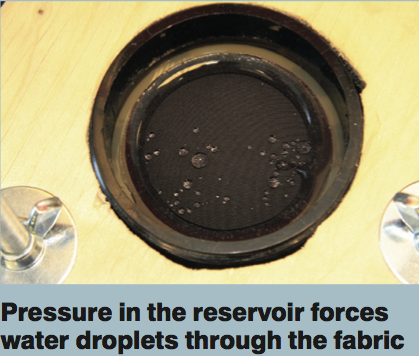 The industry-standard method for testing waterproof fabric is to subject it to a hydrostatic head test, where a column of water pushes against the fabric. We built our own hydrostatic head tester, which tightly sealed a piece of cloth inside a ring and subjected it to an adjustable head of water. I sacrificed an old waterproof shore jacket which had lost its effective DWR coating, and tested each piece of fabric before and after treatment. We raised the head until three droplets of water had forced themselves through the material. Measuring the height of the head of water at this ‘leak point’ gave us a comparison. To see how effectively each product restored the DWR, we also conducted before and after tests on each sample. Using a pipette, we timed how long it took for a single droplet of water to be absorbed by each fabric sample, repeating the test three times. To make the test more realistic, we also collected together seven old oilskins and repeated the water droplet test, taking readings before and after treatment. 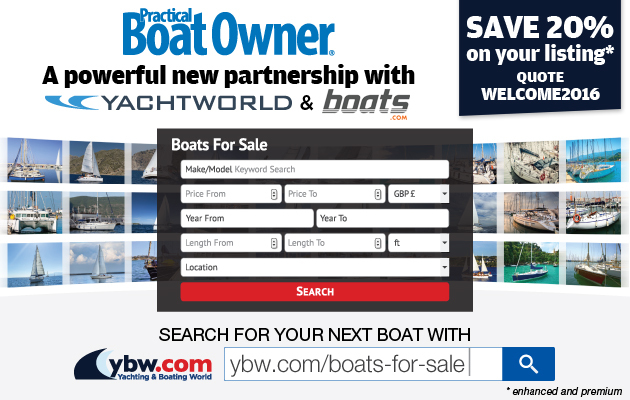 While the oilskins varied in age and condition, they gave us an indication of how well each product would work on a set of waterproofs nearing the end of its life – the sort of thing most practical boat owners might have at some time or other. Some treatments were wash-in and others spray-on. We followed the instructions on each to the letter, cleaning each garment first with the recommended cleaner, before applying the coating and drying in accordance with the instructions – which generally meant using the tumble dryer on a low heat. When washing, it’s important to make sure there is no residual detergent in the machine from normal laundry, so we rinsed and cleaned out the machine and detergent drawer to ensure it would be a fair test. Our control for this test was a piece of untreated fabric from the same garment as the others. It leaked as soon as the hydrostatic head reached 1mm – demonstrating that the DWR coating had well and truly deteriorated. On the pipette test our droplets of water took 2 minutes 20 seconds to be absorbed by the control specimen. Tumble-drying is said to restore a DWR coating, so we tumble- dried a sample without any other reproofing agents. It withstood 30mm of hydrostatic head before leaking and wetted out after 3 minutes 10 seconds. Both of these figures were improvements on the untreated fabric, but not as good as most of the treated results. This is a one-stage cleaner and proofer. You add two capfuls for one jacket, wash on a full cycle and tumble- dry to activate the coating. Our proofed test panel withstood 40mm of water pressure before leaking, and a bead of water lasted just longer than the untreated control sample, 2 minutes 45 seconds, before being absorbed by the cloth. On the oilskins it slowed the absorption time from 2 minutes 15 seconds to 2 minutes 40 seconds. A one-step process where you add the cleaner to the detergent drawer and the proofer to the fabric conditioner drawer, then tumble-dry afterwards at 50 ̊C to activate the coating. Our proofed test panel withstood 110mm of hydrostatic head and it took 27 minutes for the droplets of water to be absorbed. It slowed the absorption time on our test oilskin – an eight-year-old Gul smock – from 8 minutes 25 seconds to 28 minutes. After washing with 30 ̊C cleaner, you can treat up to four garments with one 300ml bottle of 30 ̊C proofer. For one jacket you add two capfuls to the detergent drawer before putting the garment on a full wash cycle, then drip-dry: or if the label allows, tumble-dry on a low heat. Our proofed test panel withstood 60mm of hydrostatic head before leaking, and a bead of water lasted 3 minutes before being absorbed. On our oilskins test we tried it on a pair of 10-year-old Musto MPX trousers. It slowed down the absorption time from 6 minutes to 8 minutes 10 seconds. After cleaning with the separate Nikwax Tech Wash, you add two capfuls per garment to the detergent dispenser and wash on a 30 ̊C synthetics cycle with slow spin. Following this we used a tumble dryer on a low heat to dry the fabric. Our test panel withstood 40mm of hydrostatic head before leaking. It took 2 minutes 54 seconds for the droplet to be absorbed on our test panel, and slowed the absorption time on our test oilskin – a Musto MPX smock – from 16 minutes to 19 minutes. This product differs from the others tested in that it comes in an aerosol can and must be applied to dry fabric. 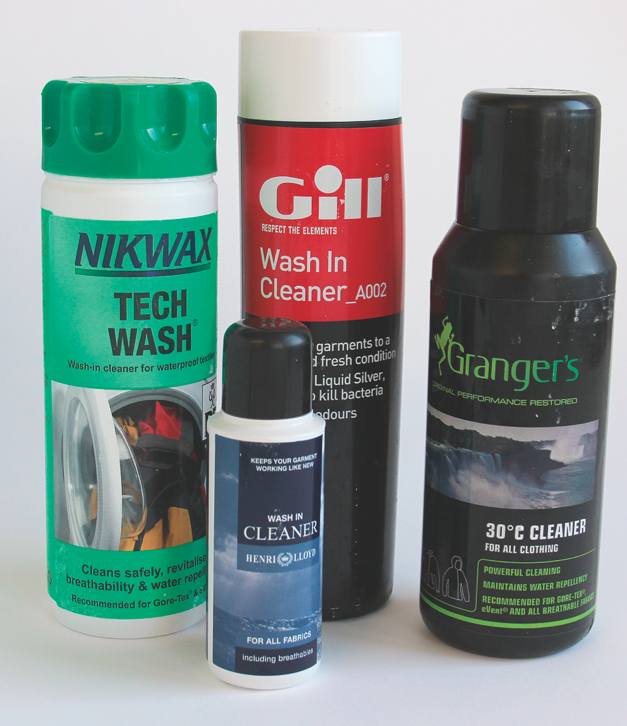 We washed our samples using the recommended Gill Wash-in Cleaner before allowing them to air-dry as instructed. Next day, we shook the can and sprayed the product evenly from 10-15cm away. The fabric was dry within 15 minutes. Our test panel withstood an impressive 200mm of hydrostatic head before it began to leak and it successfully kept the water in droplet form until these evaporated after around eight hours. It did the same to our test oilskin, a 10-year-old Gill jacket, keeping the water in droplets and not absorbing it at all over a period of eight hours. head before leaking, and it took 15 minutes for the water droplets to be absorbed into the test panel. On our test oilskin – a pair of 15-year-old Musto HPX trousers – it slowed the absorption time from 35 seconds to 50 seconds. That’s only a slight improvement when compared to the hydrostatic head results, which suggests the proofer is not at fault: more likely these particular trousers are beyond repair. After cleaning the items with Nikwax Tech Wash, you can spray this product on while the garments are still wet, holding the bottle 15cm away from the fabric. After two minutes you can remove any excess with a clean cloth, before air-drying – or tumble-drying if the garment allows. Our test panel withstood 110mm hydrostatic head before leaking. On the droplet test it successfully kept the water droplets as beads until they evaporated some eight hours later. It improved the waterproofing of our test oilskins (a pair of 10-year-old Musto trousers) by taking the absorption time from 12 seconds to 2 minutes and 6 seconds – a vast improvement, but with the suggestion that the oilskins were actually beyond repair. These tests had some interesting results. 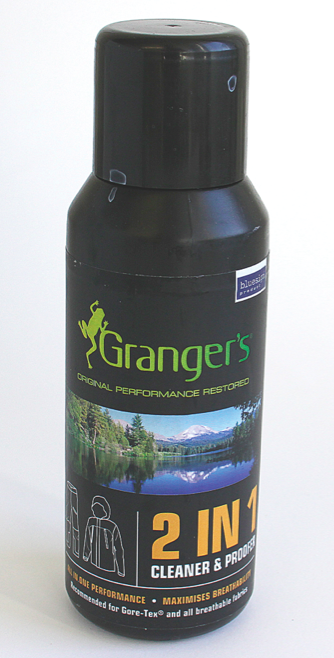 The stand-out product has to be the Gill Reproofing Spray, which performed best by far. Nikwax TX.Direct Spray-on was second-best. Both restored the DWR of the test fabric to a level the same as a pair of new oilskin trousers we compared them with. Further tests are needed to establish how long the coating lasts. The results show that the spray-on products outperformed the wash-in products, with only the Henri Lloyd Renew Wash-in performing close to the spray-on products. The main thrust of the test was the fabric test, which showed useful differences in how each product replaced the DWR coating. We included a set of old oilskins in each test in order to provide a ‘real world’ test. While it wasn’t possible to find enough oilskins of the same age and condition, it is useful to note that each product we tried improved the water repellency to some extent.